Looking for your final fat loss solution? Unlike other weight loss programs, Dr. Urshan’s proprietary weight loss program can be the last diet you start. Our personalized, scientific approach to fat loss and weight management is tailored to your body’s needs for optimal weight loss and wellness. Dr. Urshan’s weight control clinic specializes in safe, effective weight loss and long-term weight management for years to come*. 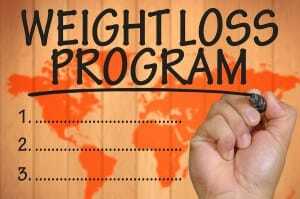 Researching ideal weight loss programs for your body type, current weight and weight loss goals can be an intimidating and overwhelming process. With so much literature on the internet, it can be difficult to weed through credible sources and accurate dietary information. For this reason, it is critical to consult a weight loss doctor before starting any weight loss regimens. In addition to the improved health and esthetics benefits that weight loss can bring, the satisfaction of knowing that you achieved your goals in a safe and healthy manner under the supervision and advice of a trusted doctor can give you the confidence to take on new goals and positive lifestyle changes. No matter your short or long-term weight loss goals, the team at Dr. Urshan’s Health and Weight Loss Center is committed to providing our patients with custom care and personalized weight loss recommendations. With patients from St. Petersburg, Palm Harbor, Westchase, Lutz, Wesley Chapel and nearby locations, it’s no surprise that we’re the premier weight loss and maintenance clinic for guaranteed results across the Tampa Bay area. If you’re tired of sluggish results or “Yo-Yo” weight loss programs, contact our team to schedule your first appointment for the last weight loss journey you’ll ever embark on.